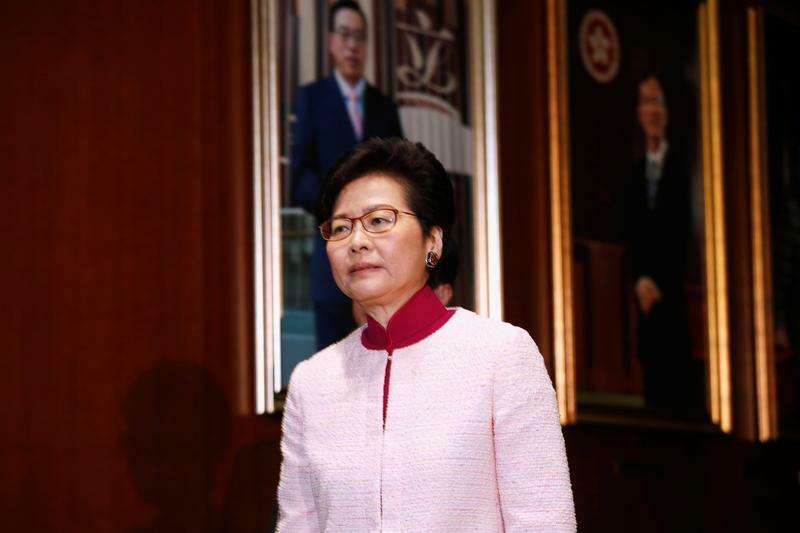 Hong Kong Chief Executive Carrie Lam arrives to deliver her annual policy address at the Legislative Council in Hong Kong, China October 10, 2018. The Hong Kong government will consider excluding some white-collar crimes from any agreement to hand over individuals to Taiwan, Macau and mainland China, according to comments from the president of the Chinese Manufacturers’ Association reported by the South China Morning Post on March 20. Hong Kong has been considering changes to its extradition rules. The amendments, proposed by the city’s Security Bureau, would allow case-based co-operation with other jurisdictions, including mainland China. Some business groups, including the American Chamber of Commerce, have expressed “serious reservations” about the proposal in a submission to Hong Kong’s Secretary for Security John Lee, and said they would “undermine perceptions of Hong Kong as a safe and secure haven for international business operations”.